Home Credit Card Should You Apply For A Sam’s Club Credit Card? Should You Apply For A Sam’s Club Credit Card? Do you frequently go to warehouse clubs like Sam’s Club to find that right wholesale bargain? Buying items in bulk allow you the chance to save money on your purchases. For this reason, a great majority of buyers like to purchase their daily necessities from Sam’s club. Among the different programs Sam’s club have, you can now apply for a Sam’s Club Credit Card. Before, Sam’s Club used to issue credit cards that could be used only in their store or affiliates like Wal-Mart. But of late, the company has issued a credit card that can be used anywhere that accepts Discover It cards. The question here is, should you apply for the cards offered by the store or not? We have investigated all the facts about the Sam’s Club Credit Card just for you! While the first two Discover Cards can be used at any establishment which accepts Discover, the last 2 cards are store-only-cards exclusively for Sam’s Club members. The cards are issued through GE Money Bank. Despite the benefits the card provides, the credit card from Sam’s Club is not a popular choice among its customers. The card was not able to gain general acceptance. Here are some reasons that may explain the low attraction. The card carries one of the highest interest rates which is 22.90%. No reward programs or affiliate schemes are tied. Hidden fees like cancellation charges are not mentioned anywhere. 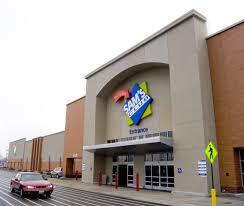 Club Credit Card is useful only for purchases inside Sam’s Club premises. Many popular cards offer benefits which are much better than what Sam’s Club has to offer. By using Discover it® cards which are accepted at all Sam’s Club stores, users get more benefits, even for in-store purchases. 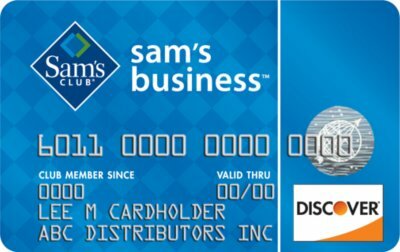 While the card by Discover gives attractive cash back offer of 5% for customers, Sam’s Club Cards offer no more than 2%! Chase Sapphire Preferred® Card and Capital One® Venture® Rewards Credit Card are among the most rewarding cards in the market which not only provide attractive cash back rates, but also offer attractive redeemable reward points. However, although it is one of the biggest companies in the USA, Sam’s Club fails to offer significant benefits to its customers. Customers also often complain that many advertised benefits on cards issued by other providers, don’t seem to work at Sam’s Club. If you are a regular shopper at Sam’s Club, then applying for a card wouldn’t be such a bad idea. However with the many disadvantages and lack of significant benefits, the offer from Sam’s Club Credit Card fails customer’s expectations in a lot of ways. Quite a lot of advantageous credit cards are readily available in the market that gives customers many more benefits! Even when customers shop at Sam’s Club, it would be more beneficial to use other cards. Hence Sam’s Club Credit Card can be considered one of the least advantageous cards on the market and its better if it is avoided, unless you are a crazy fan of Sam’s Club that is! Are you a user of Sam’s Club Credit Card? Or do you use a popular card to make your purchases at Sam’s Club? Let us know about your experience. Do put in your comments and suggestions about our verdict. We are eager to hear from you. Delta Reserve Credit Card Review: Is It Worth Having?